Nowadays no one has any doubts about the necessity of ensuring the security for information resource in a organization or company. The commonly used approach to this process implies examining the system, auditing the state of information security, developing a new security policy or correcting the existing one. It is convenient if you can do most of these things with one software suite. 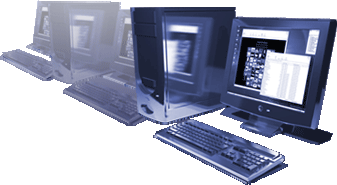 LanAgent has been working well with 300 workstations, which proves the good scalability of this software. LanAgent became one of the key tools for me and for our department. Remote control tools allows you to install monitoring tools on the computer invisibly for the network user and then invisibly monitor the user's activity. We should say that LanAgent is not the only monitoring tool that we tested. The use of these tools used to become obvious (reduced computer performance, constant signs indicating the activity of additional processes), as a result the forth- and fifth-year students very quickly detected software agents and disabled them. LanAgent was a real find for us because it monitors computers practically imperceptibly for workstation users. It should be particularly mentioned that the program can generate and print all kinds of reports with the results of monitoring, which allows you to give chief executives these results in a visual and comprehensible form. We were faced with the challenge of making our staff more efficient and productive. Bonuses had an effect that was short-term at most. There was a burst of activity, but it did not last long: only about two months. From the outside it seemed like employees were busy. But the actual results showed otherwise.